In recent weeks, a foul-mouthed and screechily boastful nine-year-old named Lil Tay has taken social media by storm, with head-scratching videos in which she tosses around stacks of cash, cruises around in expensive sports cars, and curses about her wealth — alongside the likes of YouTube bad-boy Jake Paul. As of today, however, Lil Tay’s accounts have been wiped, including her Instagram and YouTube pages, which are still home to 2.3 million followers and 210,000 subscribers, respectively. 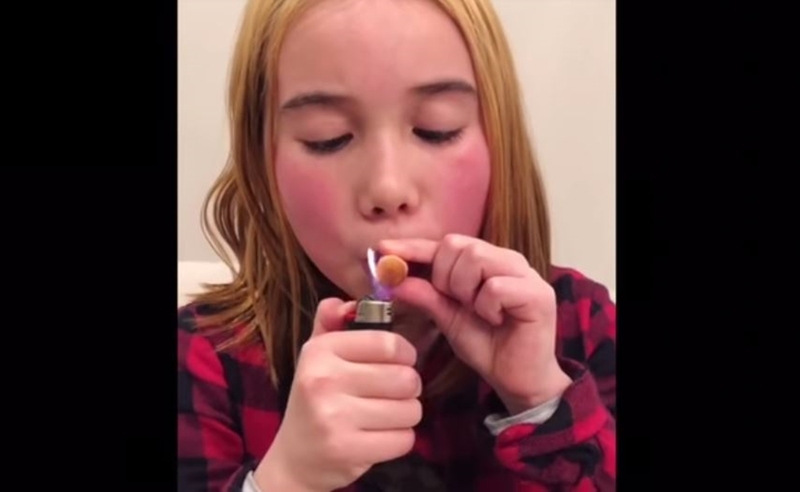 Jezebel reports that Lil Tay was last seen in a Worldstar Hip Hop video smoking hookah after apparently being coached to do so by her 16-year-old brother Jason Tian (who is reportedly the brains behind the Lil Tay persona) and her mother Angela Tian, who lost her job at a Vancouver real estate firm due to the fact that some of the clips were filmed within the company’s luxury listings. In a Good Morning America appearance last month, however, Lil Tay took credit for crafting her own persona. It remains to be seen whether this is the end of Lil Tay’s online career — as Jezebel notes that she only recently relocated from Canada to the Los Angeles home of Vine star-turned-social media talent manager Josiah Jenkins. It is also unclear whether Lil Tay’s accounts were wiped on their own accord, or because she was found to be in violation of the sites’ respective guidelines. Instagram users, for instance, must be at least 13 years old in order to operate an account.